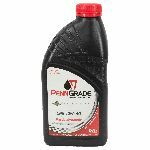 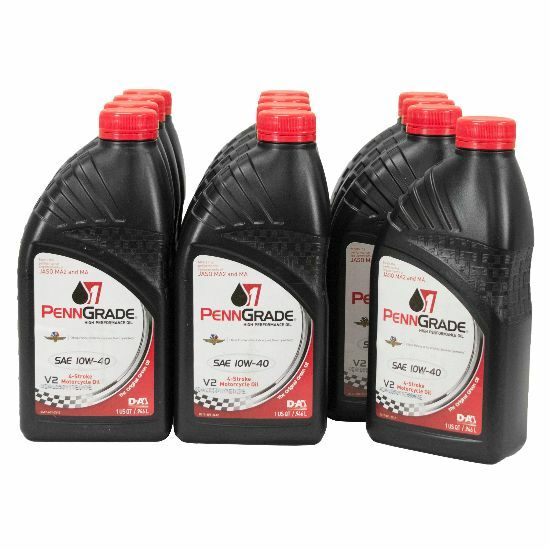 Blended with Pennsylvania Grade base oils, select synthetic components and superior additive chemistry, Penngrade 1® V2 4-Stroke High Performance SAE 10W-40 Motorcycle Oil is specifically formulated to offer the ultimate in quality, performance, and protection for motorcycles. 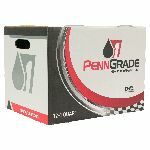 Unlike most other multi-viscosity motorcycle oils, the very unique viscosity modifier used in the PennGrade 1® oil is not based upon conventional polymers which can shear significantly with use and cause loss of oil viscosity. This viscosity modifier imparts exceptional High Temperature High Shear viscosity protection to it that is so critical for protection of high speed, high revving motorcycle engines. 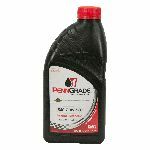 Further, in applications where the same oil is used for lubrication of both the engine and transmission, the excellent shear stability of this motorcycle oil offers a distinctive operational advantage over other less shear-stable oils. Increased levels of 'zinc' (zinc dialkyldithiophosphate) in it provide exceptional anti-wear/anti-scuffing protection. Detergents, dispersants and anti-oxidants offer protection from thermal and/or oxidative oil breakdown that can lead to varnish and deposit formation. Anti-foam agents reduce oil foaming and air entrainment under high-speed and/or high-RPM operation. Excellent High Temp protection for air and water cooled 4-cycle engines. Resists thermal and/or oxidative breakdown. 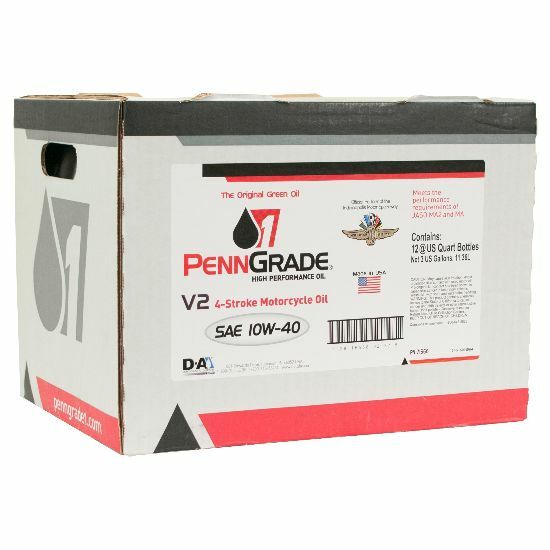 Superior high temp/high shear viscosity. Meets JASO MA-2 performance requirements for use in wet clutches. 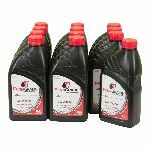 JASO MA-2 offers improved frictional characteristics exceeding those of JASO MA Oils meeting JASO MA-2 are suitable for use in JASO MA applications. Suitable for use in Honda®, Kawasaki®, Suzuki®, Yamaha® and other 4-stroke motorcycles where an APO SJ, SH or SG quality oil is specified. 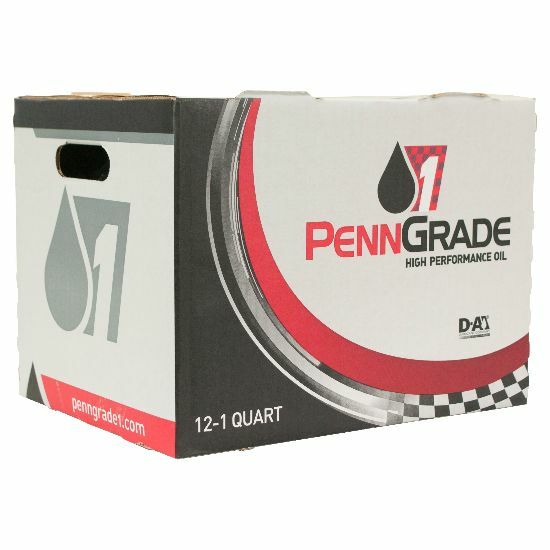 Consult your owner's manual for proper oil viscosity and quality selection. May also be used in ATV's, golf carts, 4-wheelers and other 4-stroke engine applications.